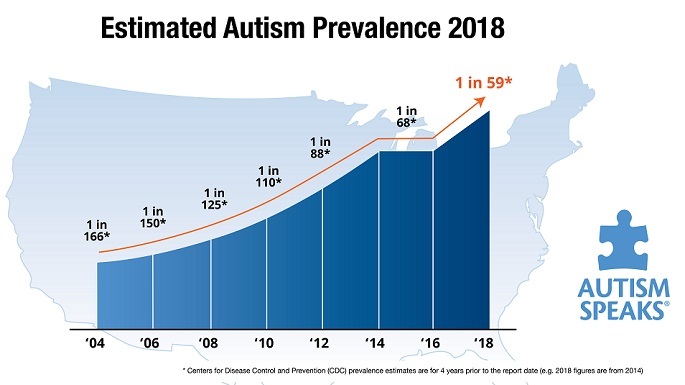 The topic of methyl B-12 injections, administered to help induce Speech and Language, and to address other autistic behaviors, is among the most popular web searches that parents undertake in order to help their affected offspring. These are some of the experiences of families who have explored this protocol, under the direction of The Child Development Center. Various common reactions are presented to assist parents who wish to learn about whether this could help their child, what resources are required, improvements to expect, side effects, and when to start and stop SubQ m-B12. I can’t give those shots! The advice that a parent will have to administer ‘shots’ to their fragile young child is rarely met with immediate acceptance. For that reason, there are various protocols that have been proposed to 1) lessen the pain to the child, 2) decrease the child’s anxiety, and 3) reduce the pain and anxiety of the parents. Whenever possible, I request that Mom or Dad “Bite the bullet, and give a shot in the ‘tush’, upon awakening, two or three times per week (before school or therapies).” Having cared for many asthmatic and diabetic patients over the years, this is a small price to pay for such a large improvement. One mother who took quite a bit of convincing over many months, recently thanked us profusely for finally helping reverse Junior’s speech apraxia. I found an ad for oral stuff that is well-absorbed and supposed to be just as good. This is the usual complement to the first reaction. B12 is a rapidly absorbed, water-soluble vitamin. Any form, even lollipops will get into the bloodstream quickly. It is the speed with which the vitamin leaves the body that mandates an alternative route of administration. Therefore, deposited in, and slowly leaking out of the fatty tissue (if your kid has any), does the trick. You can’t keep a sucker in your mouth all day (and night) long. How long will we have to give these shots? Although some children continue this treatment for years, it usually requires much less time. Stimming. And more stimming. Whole body stimming, then oral ones. Chewing. Chewing on everything. Pushing on the chin. Vocal stims, including shouting, barking, echolalia and scripting. Also, we have seen amplification of ‘yeasty’ behaviors, such as silliness, outbursts, poor sleep and hyperactivity. In order to observe this therapy’s optimal effect, gastro-intestinal health needs to be optimized. I haven’t seen any progress yet. It takes about 2-4 weeks to begin to observe improvements. However, there are many factors that affect timing, and sometimes progress depends on the eye of the beholder. Expected advances depend on the present skill set. Recovering from autism is a process, and gains generally occur in small increments. Some children show significant increases in communication in the first few months, and others take a bit longer. For many, the initial signs that the vitamin is actually working are behaviors that some might consider regression, such as oral-motor overstimulation. Parents, let’s not to try to fix what ain’t broken. In the face of little or no gain in communication, experienced practitioners will search for other co-morbidities or provide supplements to enhance the intervention. It worked so well that we decided to stop all of the other supplements. Mono-therapy with subcutaneous injections of methyl B12 is not a preferred protocol to successfully treat autism. Gut health must be monitored and maintained, usually with probiotics and sometimes anti-fungal medications. Investigating and addressing deficiencies of minerals and other key nutrients is equally important for treating other signs and symptoms of ASD, particularly inflammation and oxidative stress. Food and environmental allergies will often respond to therapeutic interventions beyond mere B12 administration. At The Child Development Center, we have noted that assuring adequate reduced glutathione (by oral administration) optimizes this treatment. Please, ladies and germs, don’t stop the other supplements! And, certainly, continue the traditional therapies. The reason that I keep utilizing the medical term “subcutaneous injections of methyl-cobalamin” is because it is a medical treatment. Parents are less likely to be successful if they attempt this vitamin supplement without professional assistance. Pediatricians must learn that autism is not merely a diagnosis to be ruled out by the neurologist, and specialists need to know that a medical workup and modern treatment protocols can be more effective than conventional therapies alone. This entry was posted on Saturday, March 22nd, 2014 at 11:49 am	and is filed under >ALL<, Alternative and Complementary Medicine for ASD, Autism Therapies, Gastrointestinal Issue, Patient experiences, Reversing autism, Sensory issues, Sleep, Speech and Language, Vitamin B12. You can follow any responses to this entry through the RSS 2.0 feed. You can leave a response, or trackback from your own site. My 4 year old showed some improvement and some regression with oral MB12. Night time screaming and some hyper activeness etc… More words and concentration. Planning to take him for shots as I can see little improvement with oral in 2 weeks. 2. For children with autism, Dr. James Neubrander has a recommended protocol for methyl B12 injections. The dose recommended is 64.5 mcg/kg every three days. The methyl B12 solution should be at a 25 mg/ml concentration in order to properly release into the body. Consistent delivery of injections for the first five weeks helps to monitor the child’s response and reactions. Injections in the following 18 to 24 months are necessary to achieve maximum effectiveness. I’ve been giving my 15-year-old ASD son Behavior Balance (B6, B9, B12, and DMG) for a while now and I do see improvements in language. I also make sure he gets Epsom salt baths. He indicates that it helps calm him. As noted, Glutathione levels (check core tone) need to be normalized, and the gut must be healthy or mB12 will result in increased stimming, as you describe.